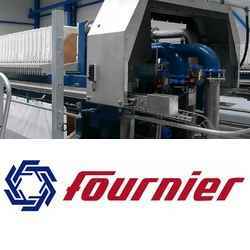 Fournier Industries Group Inc. offers a wide variety of products and services in several fields of activity. Whether it is for a turnkey project or simply for design, detailed engineering, drawing, fabrication, machining, welding or installation and commissioning, our skilled workers will know how to meet customers requirements by offering a comprehensive range of solutions and providing quality services. Fournier Industries Group Inc. offers a wide variety of products and services in several fields of activity. Whether it is for a turnkey project or simply for design, detailed engineering, drawing, fabrication, machining, welding or installation and commissioning, our skilled workers will know how to meet customers requirements by offering a comprehensive range of solutions and providing quality services. With over 375 employees working either at the main plant in Thetford Mines or offices in Trois-Rivières (Quebec), or at one of the other locations, our company is constantly growing and investing to stay a leader in the industry. To increase value for our mining, industrial and institutional customers by offering custom-made mechanical equipment and integrated design, manufacturing, installation and maintenance services in accordance with their expectations and schedules. Our solutions strike a fine balance between the desired quality and financial goals. Driven by the expertise of its staff, the Company is internationally recognized for the quality and excellence of its equipment and the integrated design, manufacturing, installation and maintenance services for mechanical equipment. These adapted business solutions contribute to the competitiveness and the reputation of its mining, industrial and institutional customers. The unique and fully automatic filter press. Simple, robust and reliable for high performance cake dryness.